How 40 Year Old Kevin (not me) Lost 63 Pounds And Over 11 Inches … And He’s Still Going! 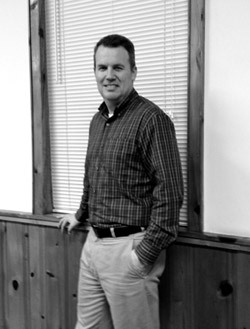 Today, Kevin Whitman shares a success story of his own. If you have a success story that you’d like to share contact me through this link or reply to one of the emails I’ve sent you though the tribe newsletter. We’d love to read about it! At the beginning of this year (at age 40) I weighed 248 lbs, and to be honest, I was miserable physically. When I was a bit younger, carrying extra weight wasn’t such a big deal, but at 40 it was really starting to take a toll on me. My wife and friends were concerned about my health and were constantly suggesting that I do something about my weight especially. I rarely felt good. I was always tired. And beyond that, it affected every area of my life from a physical standpoint. The real kicker was when a lady at work (a 63 year old lady!!!) told me that I seemed to have a new ache and pain every day I came to work. She was right! Up until that point, I just had the mindset that I was going to eat what I wanted to eat. About 10 years ago I tried the fad diets that were popular at the time. I got results, but it just didn’t last long, and I didn’t want to commit to anything like that again. I loved both junk and processed food, and the thought of exercise, etc was a terrible thought to me. At the first of the year, I finally just decided that I HAD to do something. I had gotten to the place that after work each evening I would go home and lay in the recliner till bed time and then get up and go to bed. I was tired, miserable, and unhappy from just physically feeling bad. I couldn’t stand up very long. My back hurt, my legs hurt, I had swelling in my feet, and I just had no energy. I didn’t really know where to begin, but I started with just counting calories. I came across a few websites online that helped point me in a good direction, but like most people starting out, my plan has adjusted as I learned new information and as a result of some trial and error. I finally got it in my head that weight loss (fat loss) is simply a math equation. It is calories in versus calories out. The very first thing that I think anyone needs to do is to monitor and track their calorie intake daily. It’s easy (especially with the technology now available) and it doesn’t take a lot of time. It was also eye opening. What I learned very quickly is that I was taking in a lot more calories than I was expending every day. I don’t know what other people’s work involves, but I am mostly seated at a desk every day. That sedentary lifestyle does not burn nearly enough calories to counter what I was taking in daily back at the beginning of January. Other than tracking calories, one of the first things I did as well was leave carbonated beverages behind! I don’t even drink diet cokes. I drink water, coffee (I love coffee), and occasionally some skim milk. I also decided to clean up my diet. I stay away from processed foods as a rule, and I started eating real food. I learned quickly that you have to eat a lot of boneless, skinless chicken breast, corn, green beans, etc to equal the amount of calories you get in a big mac, fries, and coke! Let’s just say that just that one change helped me to understand that “dieting” does not have to be a starvation issue. Once I started eating that way, I also found that I had trouble even eating that amount of calories I was supposed to eat in a day. That was a good thing! Of course I had a cheat meal every week and of course, I saw progress. Let me say this as well, (and this is a mental thing), I have not really looked at this as a diet. Just the word diet makes you think of something you do for a while and then stop. I didn’t need a diet; I needed to change my lifestyle. And I did. And if I can do it anyone can! Let me just say that I have never been known for my athletic prowess, even when I was average weight as a teenager. I certainly was no runner, but for some reason I wanted to run. In my first attempt at running, I ran 0.60 of a mile and then had to do run/walk intervals for the rest of the way (2.24 miles total). Now that in and of itself was an accomplishment since only a few months before it winded me to climb a short flight of stairs. On June 30th, my son and I ran our first 5K race. He did fantastic. I finished in 38 minutes. Not grand, but my goal was to finish… alive, and I did. We’ll be running another 5K race in a couple of weeks. By August of this year I had lost about 48 lbs. That was good, but I wasn’t satisfied. As a matter of fact I had reached a plateau (of sorts). 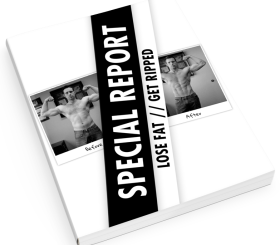 I read everything I could about plateau’s, etc, but I refused to be satisfied with just treading water when it came to fat loss. That is when I came across Fitness Black and White. I read Kevin’s recommendation about Eat Stop Eat and decided to try it. I am currently in my 11th week of ESE and I have lost 16 lbs. 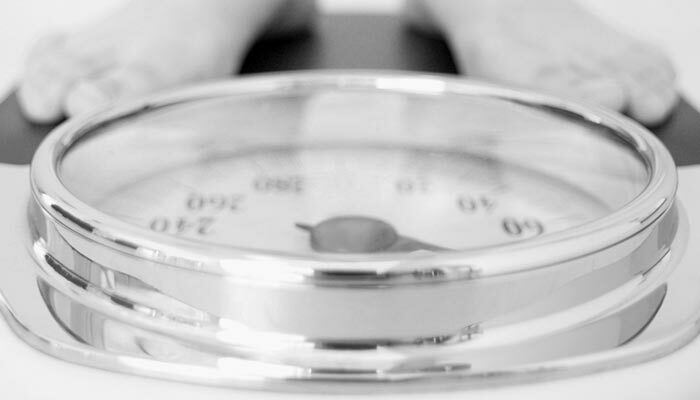 Through focusing on a weekly calorie deficit instead of a daily one, and through utilizing 2 fasting days a week, fat loss has become a breeze. I stagger my total calories over the week by the way (makes life great!). Additionally, because of my schedule, I haven’t been able to run as much as before and yet my fat loss has continued steadily. Also, with ESE, I have eaten some things in these 11 weeks that most folks would not recommend if you are trying to lose fat, and I still lost fat!!! I have learned that it is indeed an issue of calories in versus calories out! Life is wonderful!!! Two weeks ago I began one of the weight training routines on Fitness Black and White, and I am very pleased with the results so far! I don’t want to look like a bodybuilder, but I do want to be lean and muscular. The advice on Fitness Black and White is the way to go! I’ll close with this. On January 7th, not only did I weigh 248, but I wore XXL shirts and dress shirts with 17″ collars and 40″ pants. I didn’t start measuring my waist line (around by belly button) until a few weeks after starting my lifestyle change, but the first measurement was about 48″. I currently weigh 185 at 6’1″. I wear medium shirts and dress shirts with a 15’1/2″ collar and 33″ pants. My waist line around my belly button is 36.75″. I have energy, my feet no longer swell, my back doesn’t hurt… I feel great! I want to see my abs! I never have in 41 years, but with the advice and help from Fitness Black and White, I believe that I will soon. My wife, my friends, and my coworkers cannot believe the change in my life! Sometimes, I have trouble believing it. Don’t think for a minute that you cannot do the same. If I can do it, ANYONE can! Awesome job so far! Thanks so much for sharing your motivating story. Very inspiring transformation Kevin. 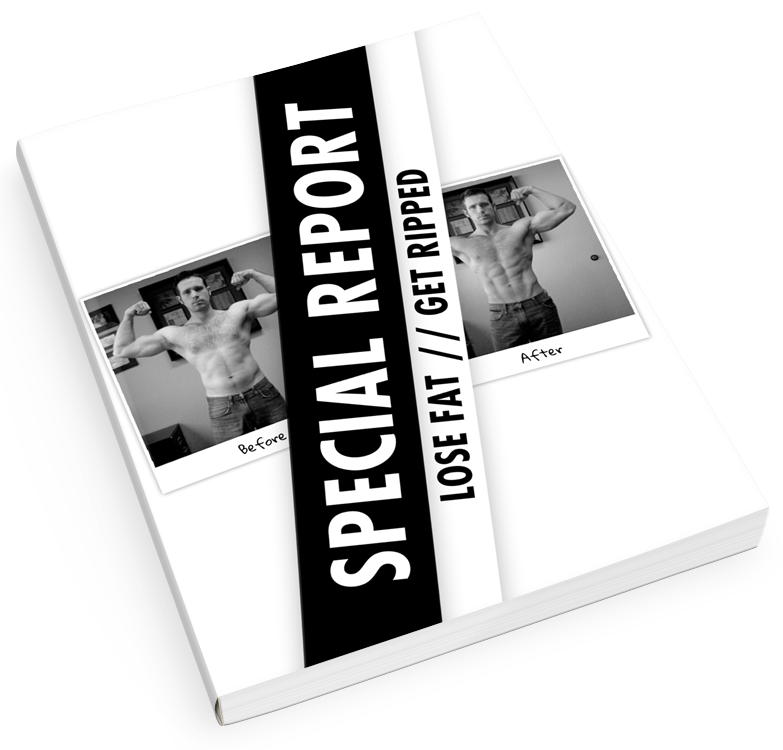 I found I was at a plateau as well and eat stop eat was the boost I needed to get out of it. It’s great when people can share these life changing stories to motivate others. Thanks Kevin. Very inspiring story. I will be submitting mine shortly as well. Some before and after pictures would be great as well. That’s awesome Jeff! Looking forward to it. Congrats on the weight loss, 63 pounds is a lot of weight. Cutting out soda and processed foods make a big difference. I follow the paleo diet, it helped me lose 37 pounds and get pretty ripped. Didn’t realize there was such an easy way to monitor your calorie intake, definitely going to give this a go. Just a quick update… Today marks 1 year on my fitness journey. I am now at 168 lbs. That’s 80 lbs lost and a waist line of 34.0 inches, or 0ver 14 inches lost in 1 year. Had to comment just to say great job! Really motivating to hear others on the same path, especially since you’ve done some of the same things I have, in intermittent fasting. I’ve also went from 250lb to 200lb in about 4 months, though I am only 24. 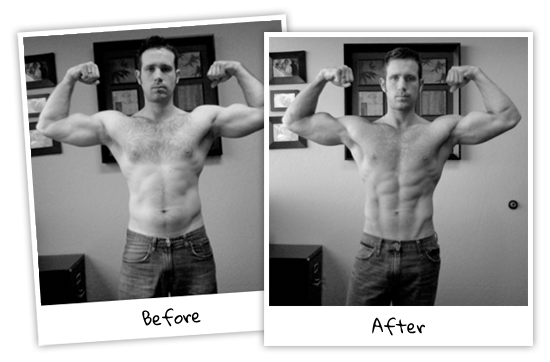 You should show more pictures of before and after to really show the transformation. Anyways, good luck on your fitness journey, keep at it, hit the gym hard! Did you have any trouble with sagging skin. I am 24 also expect to drop 60 pounds in 5 months. I started at 265 now 250 but plan on being 205.